Today (19 November) is International Men's Day, which aims to highlight issues around male health and promote gender equality across the globe. Social video experts AOL's Be On has chosen the top five brand videos that shine a light on what it means to be a modern man. Japanese car manufacturer, Toyota, addresses why dads often draw the short straw when it comes to Father’s Day. Created off the back of research finding that people spend approximately $7bn less on Father’s Day compared to Mother’s Day, the spot highlights the need to go the extra mile for those you love. Paradoxically, while most of the people that feature in the video don’t usually celebrate the occasion, or even buy a gift, they express great affection for their fathers and praise them for being their role model. Toyota encourages people to make #OneBoldChoice and recognises their dad’s hard work. According to 90% of men around the world, they say that their caring side is part of their masculinity and strength. Dove Men+Care takes a moment to appreciate this and demonstrate why #RealStrength is a true sign of masculinity. This video mashes up young children and adults as they call out their dad’s name, showing just how much they rely and depend upon their fathers. 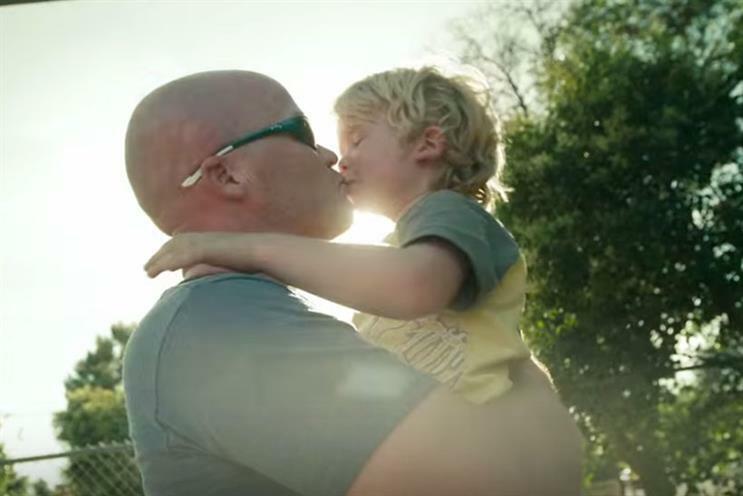 With over 6.6m views since being released at the beginning of 2015, #RealStrength beautifully captures those intimate moments that often go unnoticed and tackles preconceived notions of masculinity; all in just sixty seconds. The Campbell Soup Company challenge parental stereotypes and demonstrates why its fare is made for #RealRealLife. The spot opens with the familiar scenario of a dad attempting to feed his baby by navigating a spoon like a Star Wars spaceship and singing the theme tune, when a second dad enters the frame. Both fathers try their hand at impersonating the legendary Darth Vader, as they say ‘I’m your father’, to which the other responds ‘No, I’m your father’. Simple, but effective, the video makes the viewer consider the assumptions they make when it comes to gender and parenting in a comical way. The spot proves that subtlety can be used to make a point. Pot Noodle last month showed audiences that they can achieve their goals, whatever they may be, in the campaign, #YouCanMakeIt. The TV spot tells the story of one young boy chasing his dreams. He aspires to be in the boxing ring, but not in the role viewers might presume. Good old fashioned hard work and dedication helps the ad's star realise his modern-day dream of becoming a Vegas ring boy, displaying the round numbers to the crowd. Pot Noodle use a similar tactic to Campbell Soup, leveraging the element of surprise to create authentic reactions from the viewer and tell a more relevant kind of narrative that appeals to the modern man. Number one on Be On’s top five, Guinness takes the top spot with ‘Never Alone’, featuring former Wales captain Gareth Thomas. Part of a wider campaign in the run up to the Rugby World Cup this year, Guinness bravely steered away from the usual lad culture that often surrounds alcohol brands and instead encouraged men to talk openly about their emotions. Thomas shares his personal experiences coming out to the world and his team as a gay man and the feelings of loneliness, isolation and rejection he had to overcome in the process.